To truly gain the most benefit from social media marketing, each brand needs a unique, custom social media strategy. This is the best way to get a specific, individualized plan. However, there are some good tips and practices that apply to most anyone. 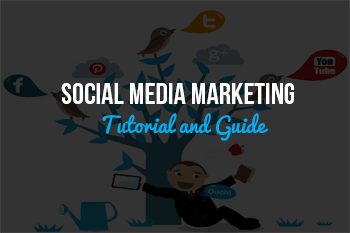 If you’re looking for a social media marketing tutorial and guide, here are a few tips to get you started on the right track. Having social media accounts is more important than ever for businesses to grow and expand themselves. In order to use platforms such as Facebook, Tumblr, Twitter, or SnapChat, it is vital to get a good following of people and customers to have a bigger online presence. Here are the steps to getting started with social media marketing for your company. 1. The first step after creating accounts is to announce on your website, product shelves, email lists, and receipts from purchases that your company has social media involvement. Once a new customer decides that they are a fan of your business, many of them check the Internet to see how they can connect to your brand. 2. Post often and give discounts to followers and fans on your social media accounts. The reason this works is because the clients feel like they are in an important, exclusive, members-only club which keeps them coming back. 3. Always interact with the people who ask questions and leave comments regarding the company products or services. This creates a more authentic and personable experience for customers, and since they love to be heard it is likely to make your company appear much more friendly and approachable. In return for that, people will feel like they can trust the brand and will keep returning for more purchases in the future. 4. Never respond to anything negatively, because even if the company is in the right of way for an off-color comment or attack, it will look incredibly unprofessional and their reputation won’t be as respectable. Have a social media emergency plan in place and also a strategy for combating negative feedback. To learn more about this and how we can help you with your social media marketing, contact us today.